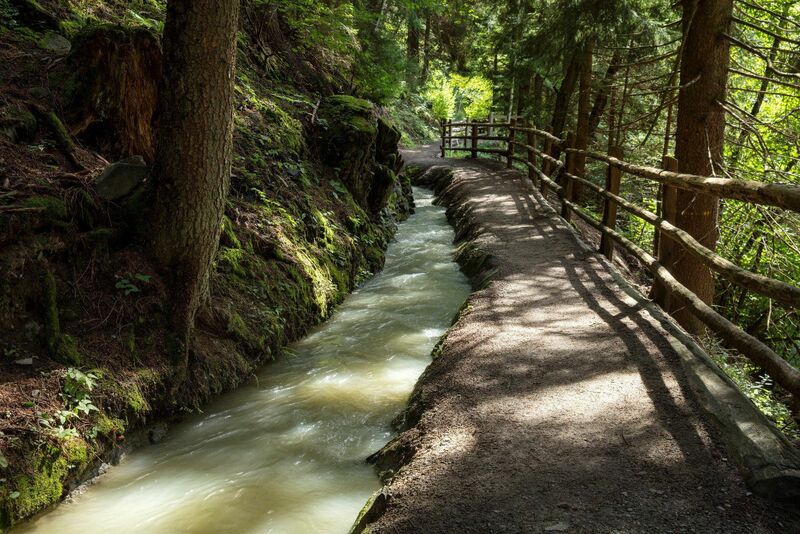 The idyllic hiking paths along the ancient irrigation channel paths are a popular attraction of the Venosta Valley. Their route runs along narrow water canals used centuries ago by farmers to irrigate their fields. The Venosta Valley has a dry climate and low rainfall. 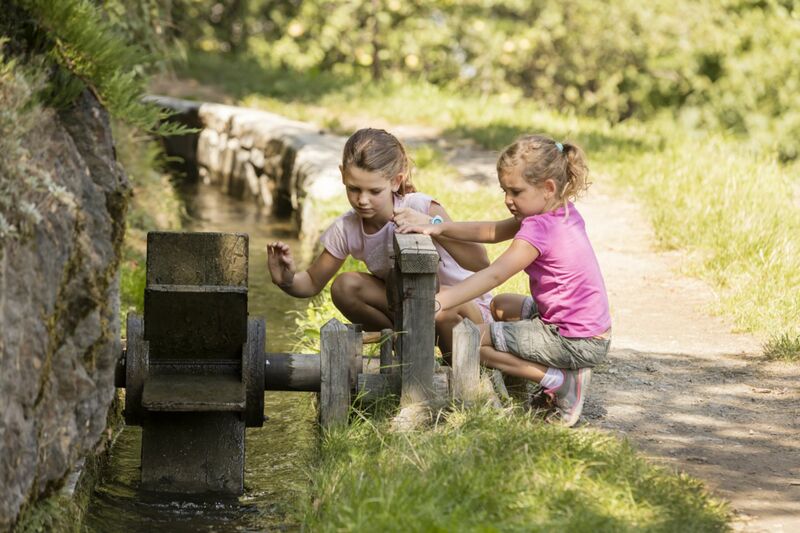 In the past, irrigation canals known as "Waale" conducted the water from the glaciers to the valley. The current irrigation channel paths were originally made to enable the guardians of the canals to control the regular flow of water. 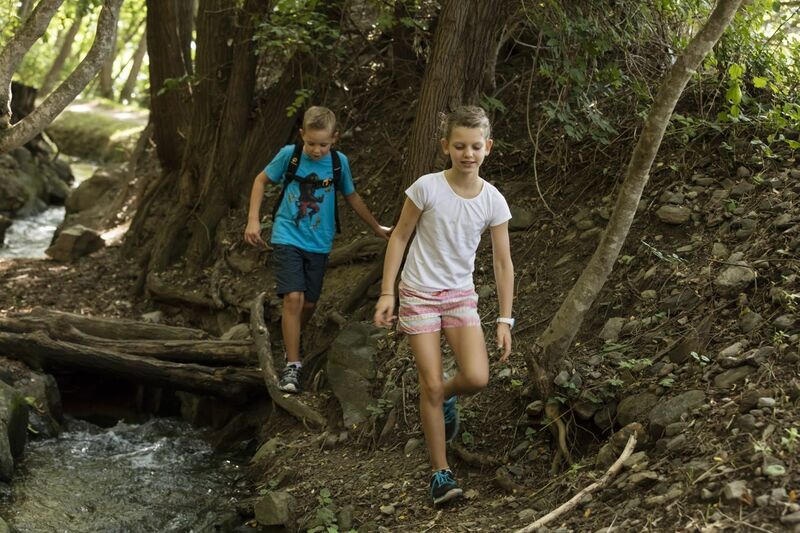 Throughout Venosta Valley there are about twenty of these popular hiking paths. They extend on both sides of the valley, on Monte Sole and Tramontana mountain, and are passable year-round and offer stunning panoramic views of the majestic mountains and the valley. 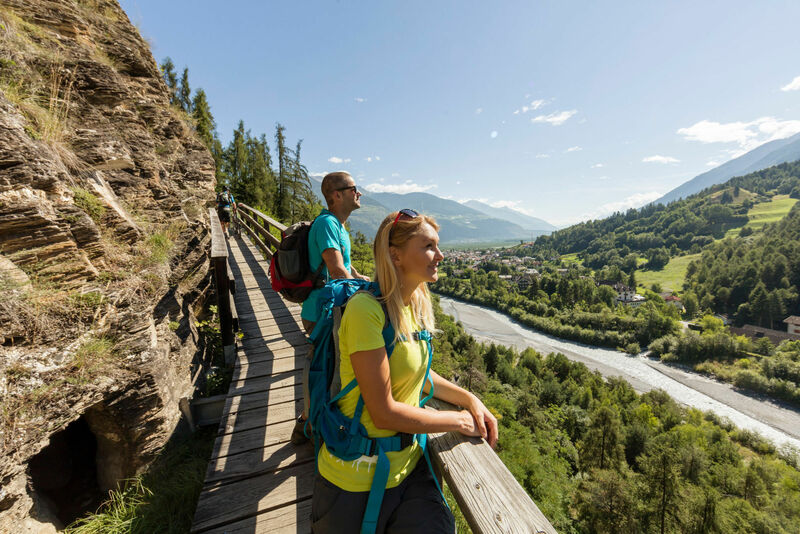 The paths of the canals in South Tyrol are the preferred routes for families, those looking for excursions which are not too demanding, and all who want to enjoy the amazing vegetation and wildlife of the Venosta Valley in complete relaxation. 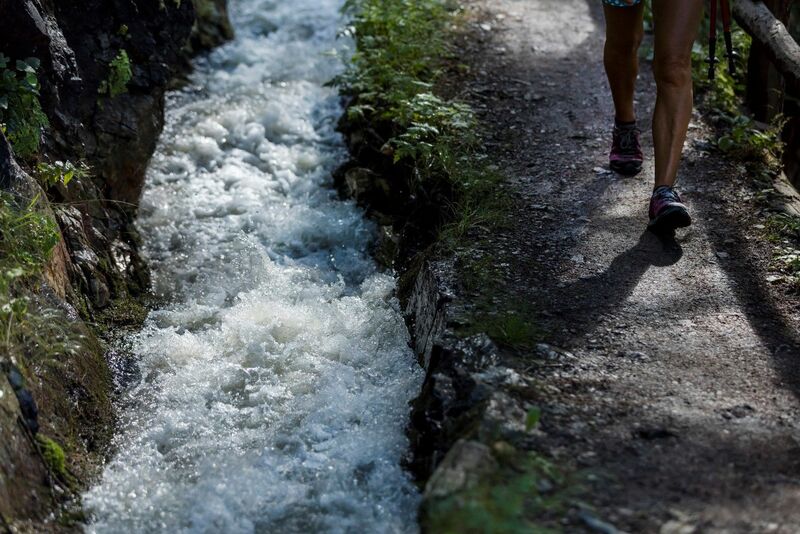 Mountain bikes are not allowed on the narrow irrigation channel paths, for the safety of hikers and cyclists themselves. The last big irrigation path in the Val Venosta Valley. 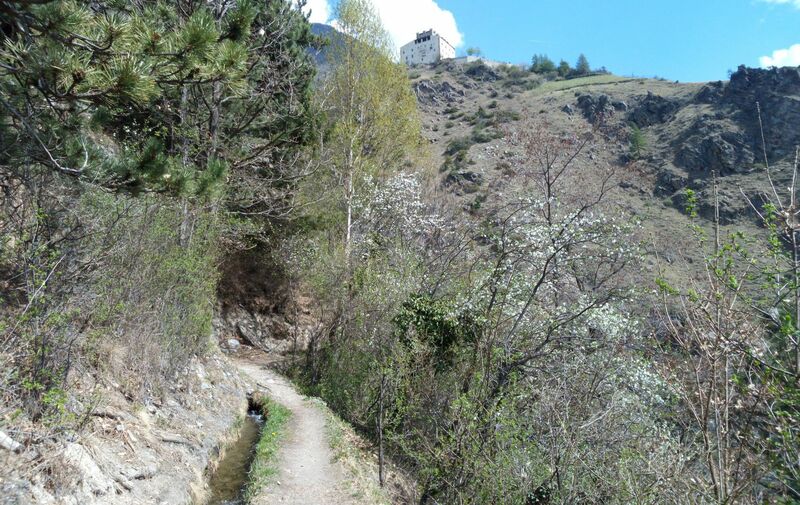 Hike on a sunny slope along the Turnaunawaal irrigation channel path that once served to irrigate the terrace-shaped fields situated on a debris cone, past the castles Rotund and Reichenberg. 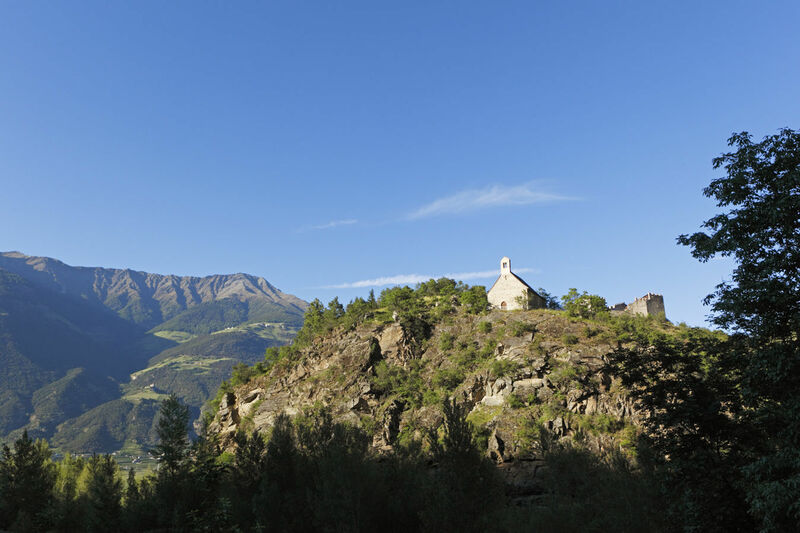 From Castelbello to Juval Castle, property of Reinhold Messner. 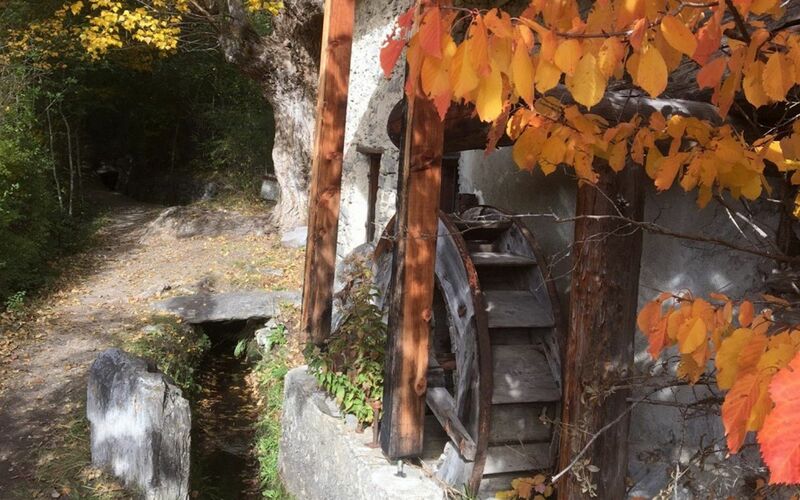 Historic hike along the irrigation channel path to the open air museum Gangglegg and past the attractions of Coira Castle and Vintschger Museum which invite you to a visit. The Zaalwaal at Monte Sole mountain of Silandro/Schlanders leads through chestnut trees and vineyards, with view of the apple orchards in the valley and the opposite Monte Tramontana mountain. The relaxed circular trail leads hikers along the traditional Laces irrigation systems. It starts at Morter and heads from the Mareinwaal over the Neuwaal and the Rautwaal irrigation channel paths. The irrigation channel path "Frauwaal"
The varyied Ilswaal channel carries water from springtime to autumn – in these months it is most recommendable to undertake a sunny hike along the Ilswaal trail.